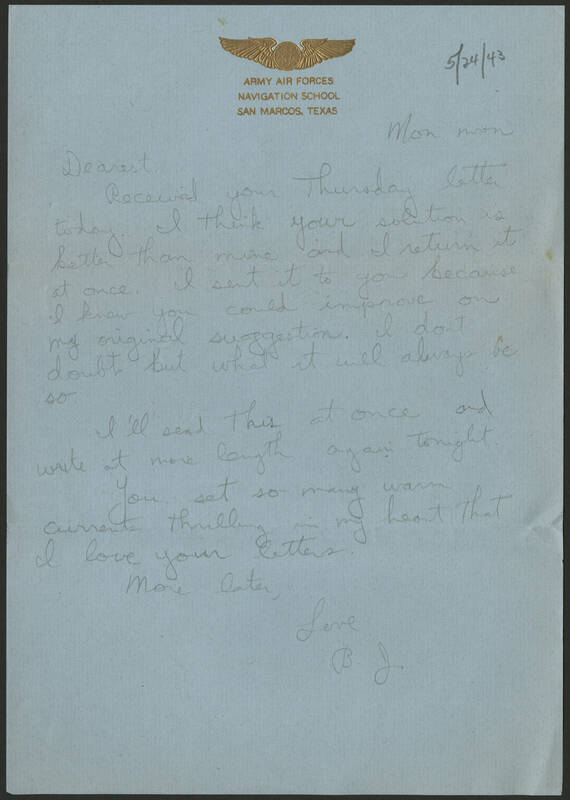 Army Air Forces Navigation School San Marcos, Texas 5/24/43 Mon morn Dearest, Received your Thursday letter today. I think your solution is better than mine and I return it at once. I sent it to you because I know you could improve on my original suggestion. I don't doubt but what it will always be so. I'll send this at once and write at more length again tonight. You set so many warm currents thrilling in my heart that I love your letters. More later, Love B.J.